Jonathan Gabe is Professor of Sociology at Royal Holloway University of London, and the Chair of Trustees of the UK Charity, Foundation for Sociology of Health & Illness. In a recent interview, Jon spoke about his research, as well as the objectives and activities of the Foundation. 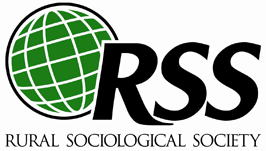 The Foundation for the Sociology of Health and Illness was established in December 1999 as a charity with the aim of promoting and improving social scientific research, education and scholarship in the field of the sociology of health and illness. The Foundation’s journal, Sociology of Health & Illness (SHI Journal), of which Jon is a previous editor, has been published since 1978, and publishes 8 issues a year including an annual special edition book series. Other ongoing projects amongst Jon’s PhD students include looking at epilepsy and diet in a family context, as well as a study on skin, “eczema, psoriasis, an interesting area that so far has very little work in sociology of health”. Gabe, J., Coveney, C. and Williams, S.J. (2016) ‘Prescriptions and Proscriptions: Moralising Sleeping Pills’. Sociology of Health and Illness (Accepted 5/9/15). Vol 38, No 4, 627-44. DOI: 10.1111/1467-9566.12383. Webster, M and Gabe, J. (2016) `Diet and identity: being a ‘good parent’ in the face of contradictions presented by the ketogenic diet’. Sociology of Health and Illness (published on line 18/9/15) Vol 38, No 1, 123-36. DOI:1111/1467-9566.12330. The discipline of the sociology of health and illness is constantly developing and being redefined. “There are areas like science and technology studies which some people have embraced and others are wary about. Some people don’t even think it’s sociology at all, yet there medical sociologists who are working across the boundaries of science and new technologies, biomedicine, genetics, and the digital”. As to the Foundation, its work continues to shape the discipline “at the margins”. As Jon says “we don’t see it as our role to take the lead in guiding the development of the discipline. We’re a resource for others to take on that role, a force for others to help develop the discipline”. 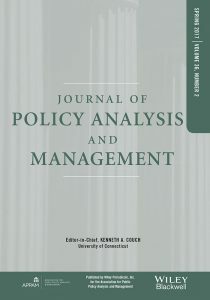 SHI Journal publishes sociological articles on all aspects of health, illness, medicine and health care, and welcomes empirical and theoretical contributions in this field in the form of original research reports or review articles. 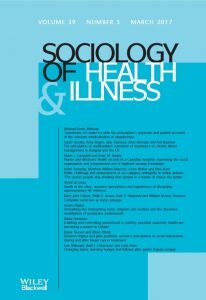 To submit your article to Sociology of Health & Illness, please visit the author guidelines, here.